One of our new floral letterpress wedding designs! Roses features a subtle, romantic floral design with classic a classic script font. This designs is beautiful and romantic for a wedding in spring, summer or fall. 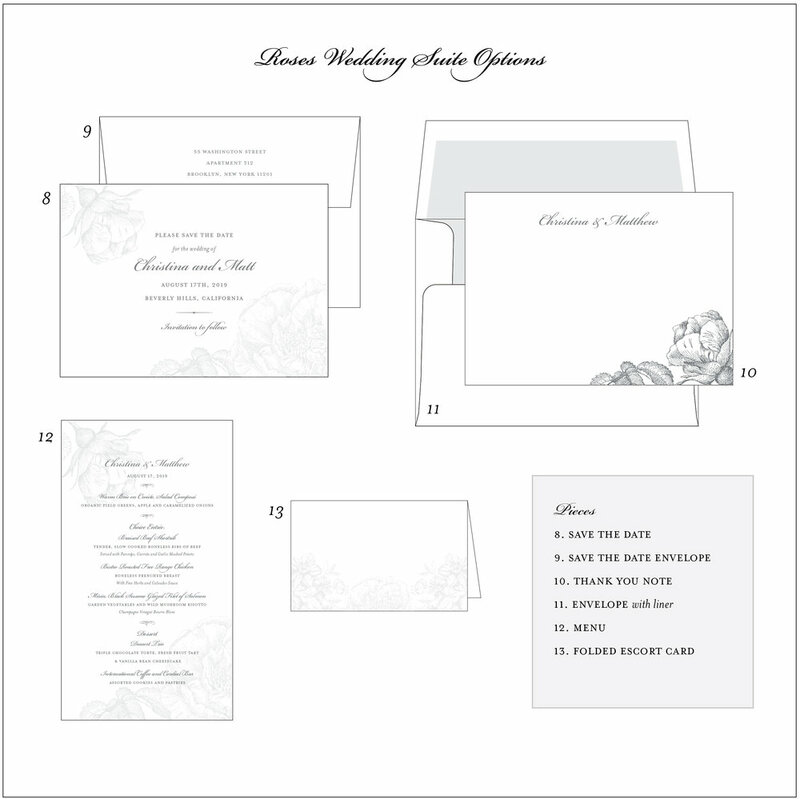 Pale tinted roses make this wedding invitation a very subtle, romantic design. Each piece of this letterpress suite features a slightly different arrangement of the beautiful rose illustration. The couple's names in a beautiful script adds some formality to the design, while also contributing to the romance. Charcoal gray ink looks very beautiful, paired with the soft tint of the roses.